With its glass-enclosed lobby, cosmopolitan rooms and shining Green Globe certification, the Conservatorium Hotel is one of the chicest boltholes this side of Amsterdam. 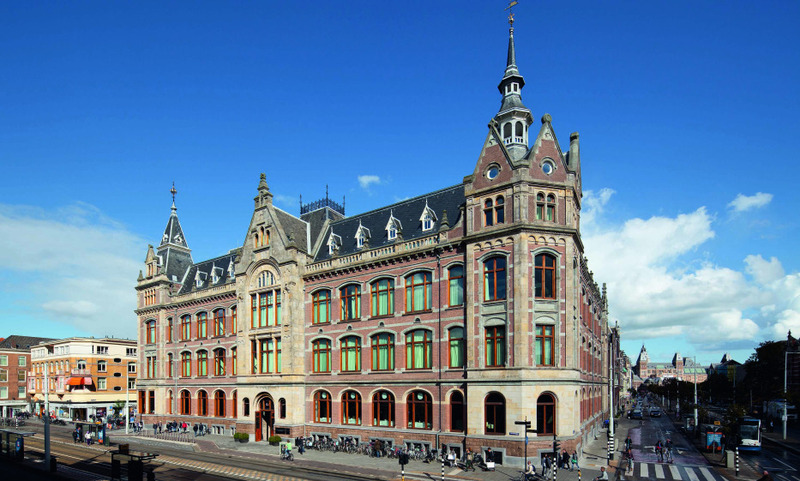 At the Conservatorium Hotel in Amsterdam, there is music in everything. It’s in the history of the hotel as the Sweelinck Conservatory and it’s in the quirky nods to music everywhere, from the display of violins hanging in the lobby to the Sennheiser headphones in the rooms. There is art here too- classic Dutch paintings reimagined in contemporary configurations to suit the hotel’s “Old Meets New” theme, but what really stands out at the hotel are the exclusive experiences that make for a memorable stay. The bulk of it takes place around the lobby where the hotel’s bars, restaurants and a shopping arcade surpass any in town. Elsewhere, the Akasha Holistic Wellbeing promises rejuvenation with a dazzling pool, the best gym in Amsterdam and world-class treatment rooms. For travelers who enjoy great architecture, thoughtful design and hotels with something interesting to discover at every turn, this is the place to be in the city. The Brasserie and Lounge are located in a beautiful atrium which has spectacular floor-to-ceiling windows and glass ceiling. Akasha Holistic Wellbeing is divided into different areas which align with the four elements: earth, water, fire and air. The contemporary Asian restaurant Taiko and its Wagyu beef. I would recommended the Conservatorium to anyone looking for top quality accommodation in the museum &amp; shopping areas. The highest level of courtesy and food we have encountered in our many trips to Europe. Wonderful experience. In general, a highly efficient and comfortable hotel. Friendly, very friendly staff. Good for longer stays as ours - one week.